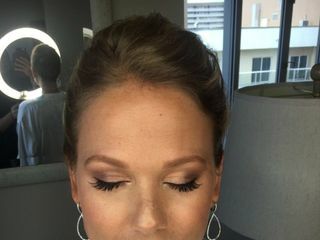 Faces by April is a wedding makeup and wedding hairstyling company based in Fort Lauderdale, Florida. The company provides its wedding services throughout the local areas of Miami, Fort Lauderdale, Palm Beach, Florida Keys, West Coast, and Orlando. 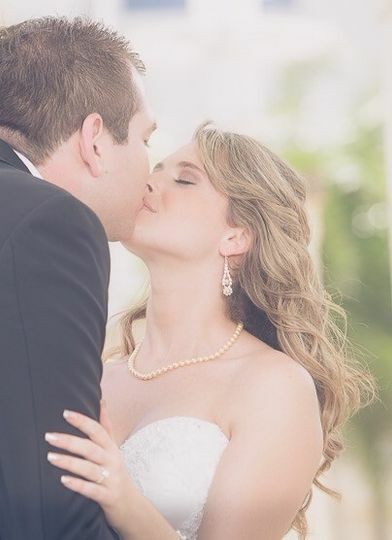 April South, the owner, is a professional makeup artist and a hair stylist that has been providing brides with great wedding makeup and hair services for more than 20 years. 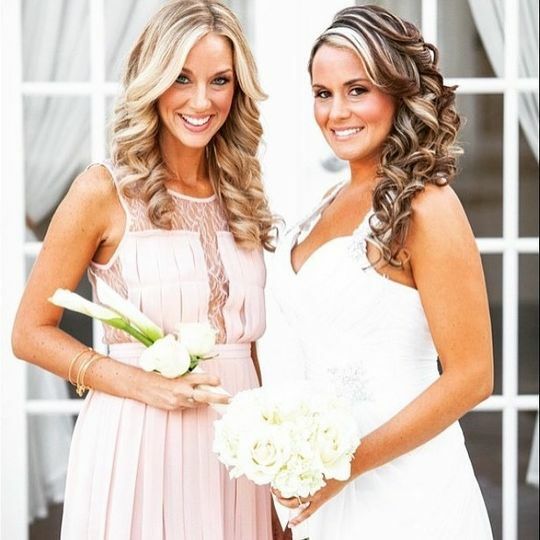 April South and her wedding glam team collaborate with their clients to come up with a look that compliments their individual style. 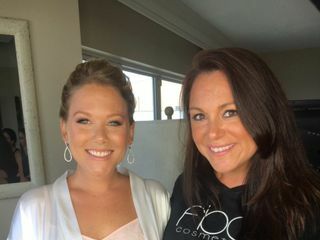 Faces by April offers various beauty services such as consultations, group services, group discounts, and multiple stylists. They also do hair and makeup trials. The company’s hair services include blowouts, textured styling, and hair extensions. 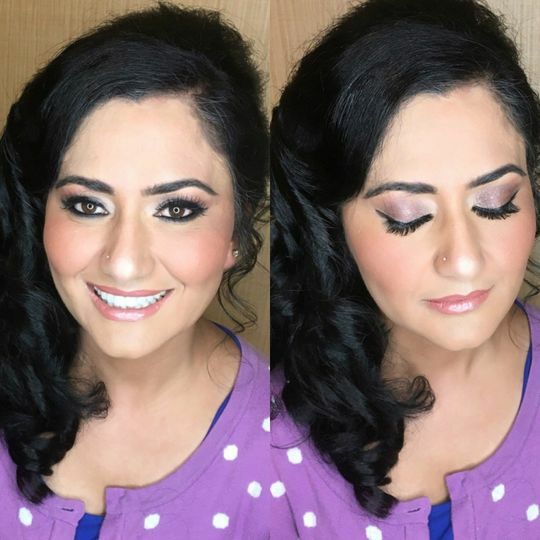 The company also offers airbrush, eye, contour, natural, onsite and wedding party makeup, as well as fake lashes and makeup tattoo coverage. From the time I booked Faces by April to the day of the wedding, these ladies were AMAZING! 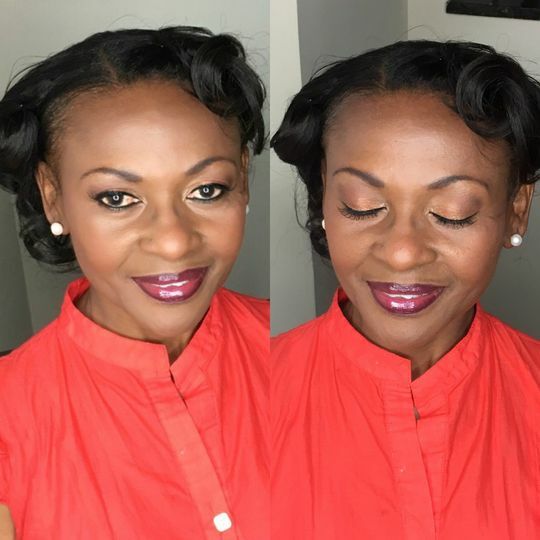 April communicates with you ahead of time to get the perfect make-up look that you want. On the day of the event, she is so efficient and wonderful at what she does. She did 9 girls’ make-up and each girl LOVED their make-up! She truly made my dream day come true! April is an amazing artist!! So happy with her work. I highly recommend her. April is amazing!!! I hired her for my wedding after a long search, and she exceeded all of my expectations! 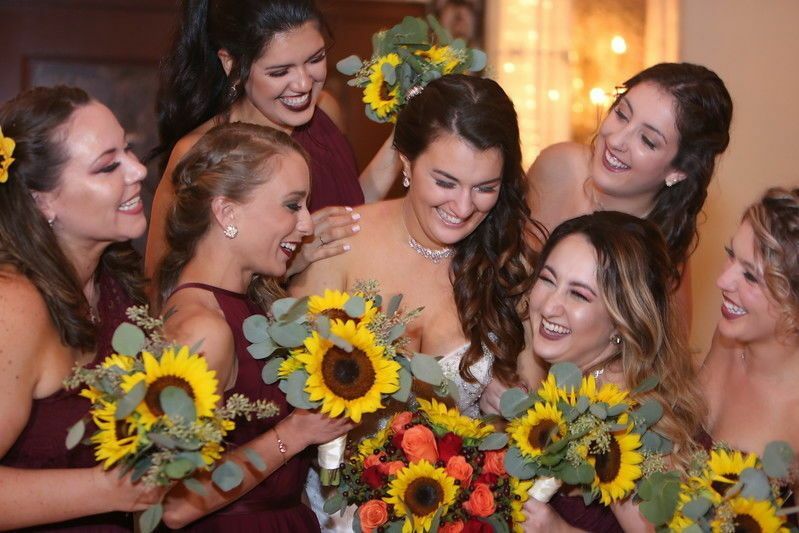 I had 14 bridesmaids (crazy, I know!!) and I couldn’t even believe how stunning every last one of them looked. On top of that, I felt more beautiful than I ever have on my wedding day. It was obviously important to me to find a team that did great work, but I also wanted to make sure I actually liked being around the team.. after all I wanted to enjoy my wedding. Day!! She was on time with her other stylists, they were all super sweet and made sure that every last one of us felt and looked incredible. I can’t thank you enough April and team!!! 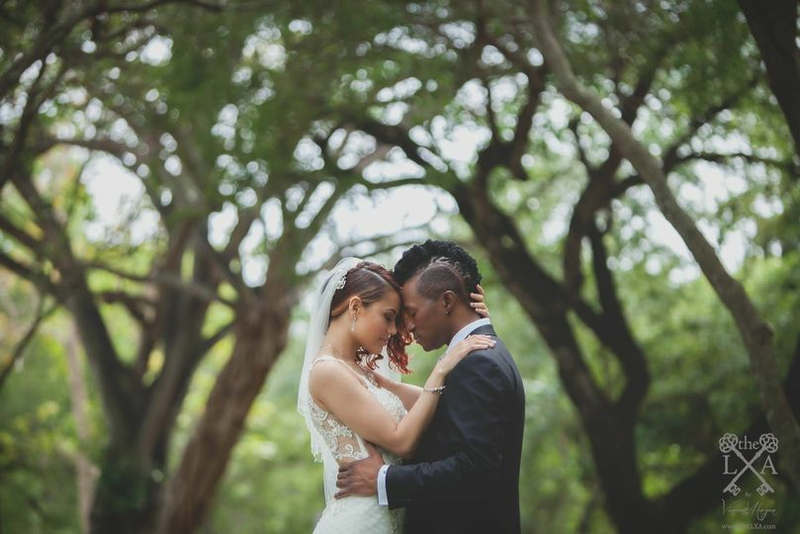 My weddding was amazing and I can’t wait for the photos to come back!! 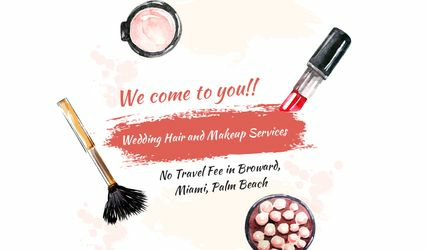 No travel fee for Broward, Miami, Palm Beach on the day of the wedding. Our stylist are mobile and will come to you! I have had the pleasure to work with April for many years now and only have great things to say! 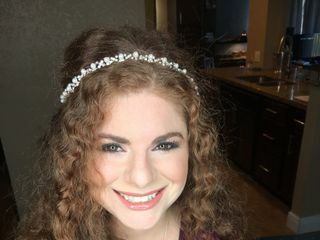 Not only is she an amazing makeup artist and hair stylist she is extremely personable and reasonable. 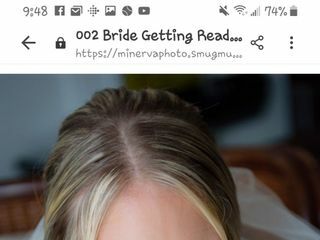 I highly recommend her services to all future brides! Faces by April is the real deal in makeup artistry. She is an outstanding makeup artist and it&apos;s a privilege working with her. 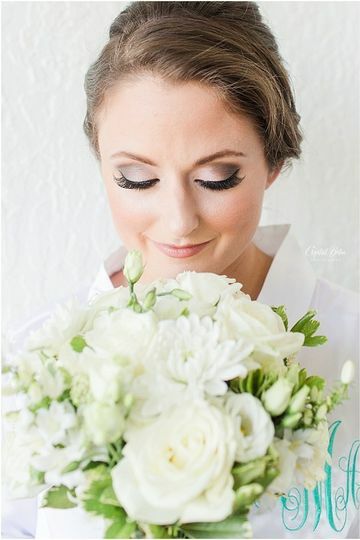 Any bride who hires April as their makeup artist can be sure that they&apos;re getting the best!